The plot is as you would expect from a zombie apocalypse film, beginning with a virus that turns citizens into flesh-crazed monsters. Aziz (Yahya Gaier) is desperate to find his way to the center of the disaster in order to save a girl he has just started dating, dragging along with him his irresponsible brother Mo (Ouled Radi) and a shockingly attractive local police officer (Gigi Ravelli). 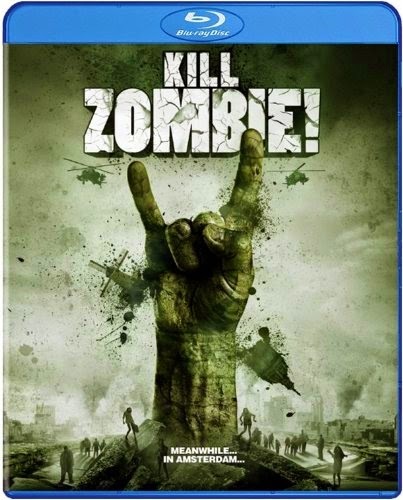 There are the usual scenes of zombie horror lightened up with romantic comedy and slapstick elements to the storyline and humor. It is all pretty predictable, and ultimately forgettable. The Blu-ray release doesn’t have special features to offer. The film was made for a limited budget, but the fact that the effects don’t stand out as sub-par shows that this is easily the strongest aspect of the filmmaking in Kill Zombie! For fans of the genre, this might be enough.